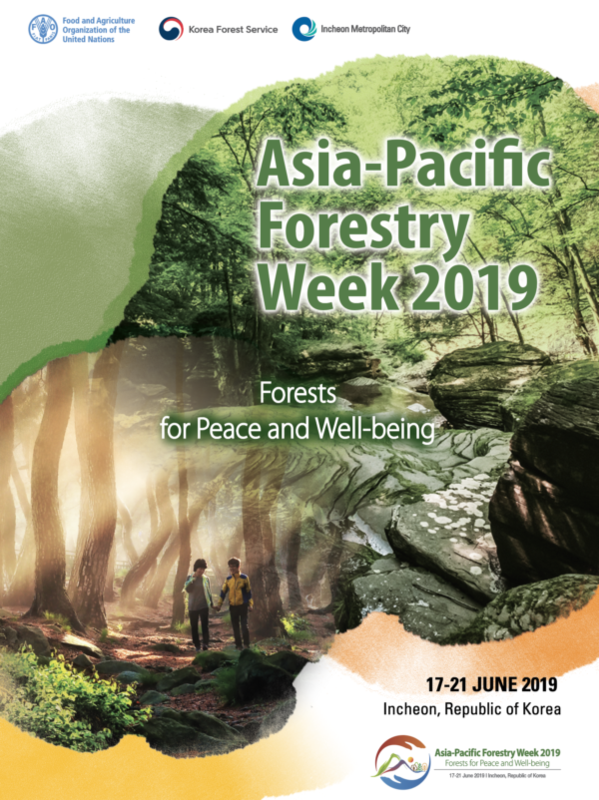 The Asia-Pacific Forestry Week (APFW 2019) will be held in the Republic of Korea, Incheon on 17 – 21 June 2019 with the theme of ‘Forests for Peace and Well-being’. This year, along with all other civil actors, governmental and non-governmental bodies, International Forestry Students’ Association will be teaming up with the Institute of Environmental Science for Social Change (ESSC), Food and Agricultural Organisation Regional Office of Asia-Pacific (FAO-RAP) and Korea Forests Service (KFS) on hosting a youth-led activities and events during the APFW 2019. This platform will dedicate to involve forestry students from Asia-Pacific in this largest scale of regional forestry event of 2019.
International Forestry Students’ Association (IFSA) is the greatest forestry students’ network globally, hence IFSA will be playing the important roles of giving supports and empowerment to forestry student and encourage them to participate and engage at the upcoming APFW 2019. Therefore, IFSA will be looking forward to hosting a several ‘youth-led activities’ at the APFW 2019 and engage all the participants coming from different sectors, levels, institutional background a taste of ‘IFSA youth spirit’.